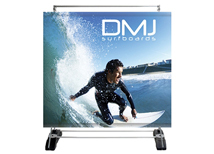 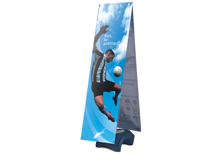 Outdoor banner stands are an affordable option for outdoor exhibiting. 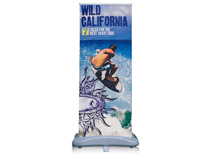 Outdoor grade graphics are used on all of our banner stands so they hold up over time and will last for many outdoor shows. 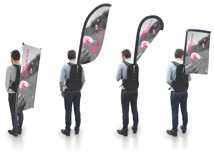 Trade show graphics work well for outdoor displays because the graphics are produced with portability and longevity in mind. 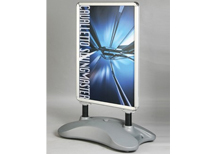 We carry a wide variety of different outdoor displays that work for all types of conferences and events. 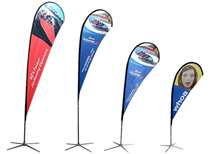 We offer quantity discounts for large orders and all our or graphics are printed with full color digital printers! 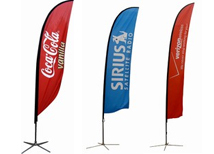 Size - 23.5" x 32.5"
Size - 31.5" x 78.75"
Width - 47" or 58"
We also carry a full line of outdoor event tents! 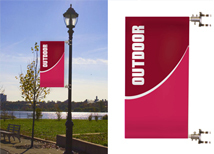 All of our outdoor banners are made in the USA and designed to hold up for years of rugged outdoor use. 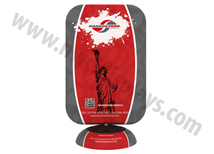 We use a high quality 13 oz. 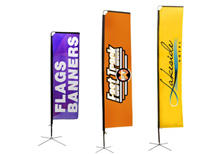 outdoor grade vinyl material for all of our banners to create a colorful graphic that will hold up for years of use. 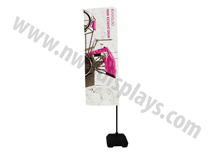 We also have outdoor pull up banners that retract into the stand to protect the graphic whenever you are not using it. 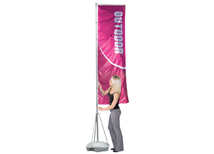 All hardware is built to hold up in severe weather conditions and many banner stands are weighted so they will not tip during high winds. 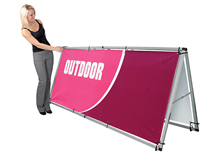 There is also an options to cut slits in the graphic in order to promote more wind resistance. 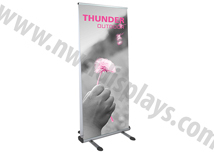 Outdoor banners can be used for a wide variety of marketing purposes including store front advertising, street sided advertising, and outdoor event marketing. 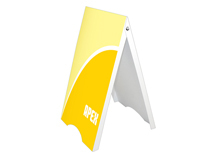 Side walk signs and outdoor flags are great additions for store fronts looking to increase visibility. 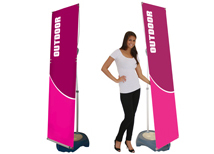 They can also be used at farmers markets, sporting events, and conventions. 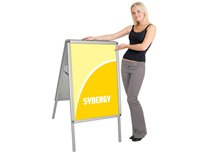 The advantage to outdoor signage is the huge size of the graphics. 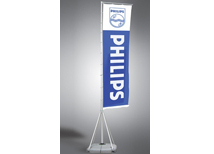 This can help any company or organization get recognized quickly. 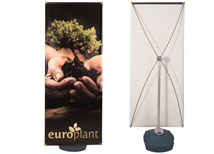 More recently churches and religious organizations started to use outdoor banner stands to help new members find locations or direct them to different activity areas. 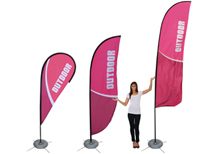 Outdoor displays are a great option because they can be used indoors and outdoors making them versatile and improving the return on investment. 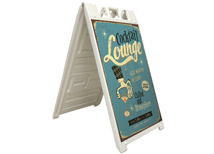 Taking advantage of outdoor signage is key for any large event and we offer a wide selection to help our clients find the perfect solution to outdoor advertising!